This book is a study of cross-border activity in and around Japanese universities, employing ‘Asia’ as the cornerstone of inquiry. 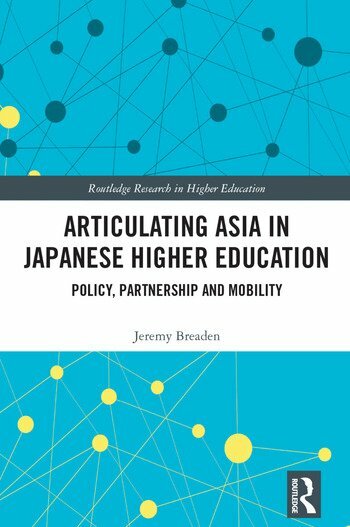 It offers qualitative, case-based analysis of Asia-oriented student mobility and partnership projects, framed by critical evaluation of discourses and texts concerning Japan’s positioning in an era of Asian ascendancy. This combination of Asia as theme and international higher education as empirical subject matter allows the book to shed new light on some of the fundamental policy currents in contemporary Japan. It also furnishes a fresh approach to comprehending the modalities of regionalism and regionalisation in the sphere of higher education. Jeremy Breaden is a Senior Lecturer in Japanese Studies at the School of Languages, Literatures, Cultures and Linguistics, Monash University.